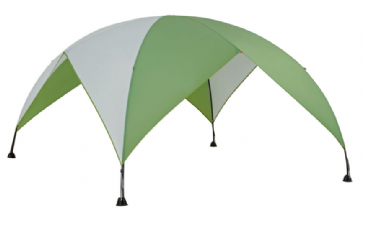 Easily carried and opened, Coast beach umbrella comes in a zipped carrybag with handles for versatile shelter that can be adjusted quickly. 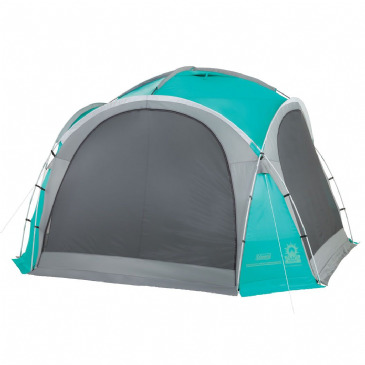 The smart dome style Daytent adds extra living space, featuring four large side windows with curtains, a sewn-in groundsheet and large front and rear doors. 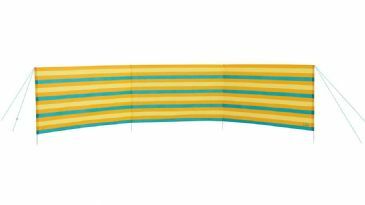 A horizontally striped, more traditional windscreen brought into the current day by contemporary, sunny colours. 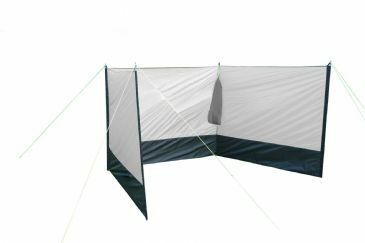 Easy to put up, Shore offers fuller protection from unwanted breezes. It’s also easy to handle and carry. 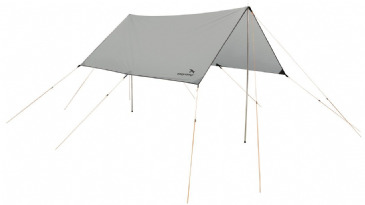 The Tarp measures 4 x 4m in a light, durable fabric adding flexible shelter that can be pitched quickly and securely. 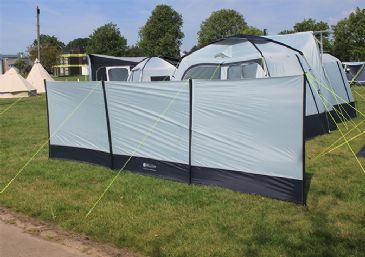 The Kampa Loo-Loo Toilet Tent is made of strong polyester fabric with shock corded fibreglass poles, and is supplied with tent pegs, guyline and storage bag. No need to invest £100,000 in a beach front property – simply take your own unique pop up UV+ 35 rated Beach Hut from OLPRO where ever you fancy. Outwell windscreens extend pitching options whilst the durable fabrics and components ensure a long life on site or on the beach. 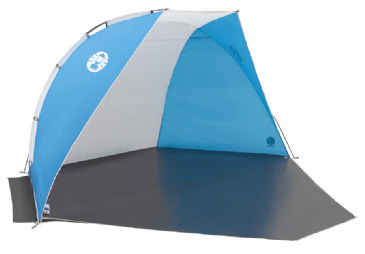 Easy to set up, the half-dome shape of the Outwell San Antonio shelter offers a flexible refuge as well as a handy place to store clothing and all the other paraphernalia of days at the beach or park. 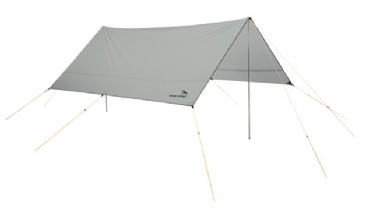 Two Durawrap fibreglass poles are threaded through a sleeve and hook system, secured with ring and pin system, to form a stable frame maximising the space inside over the sewn-in groundsheet. Outwell windscreens extend pitching options whilst the fabrics and components ensure a long life on site or on the beach. 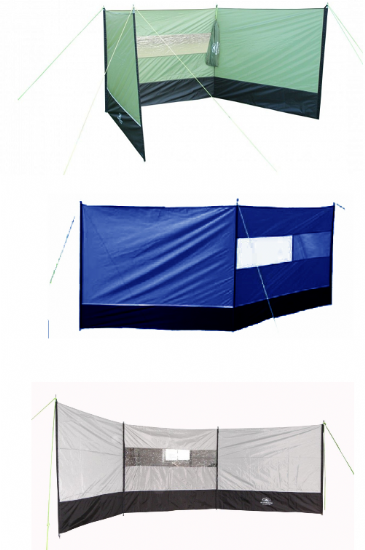 These designs complement our tent colours extending tent living by offering flexible shelter and privacy that can be moved quickly and easily to suit changing conditions. 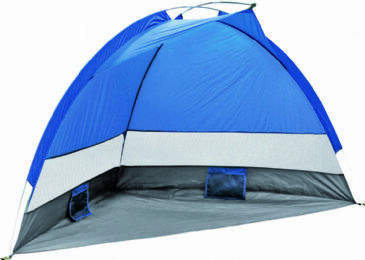 The 2 Man Pop Up Rent, has a perfect pitch design which makes it perfect for when you need no fuss shelter in a hurry. 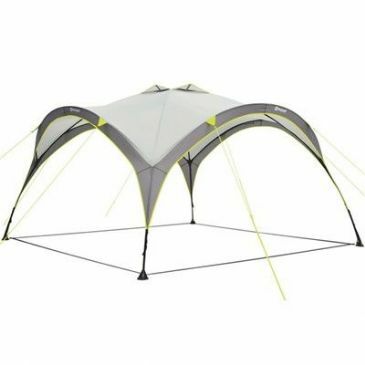 Once you take it out of the compact carry bag the tent takes just a few minutes to pitch, making it ideal for all kinds of uses from weekend breaks to music festivals. 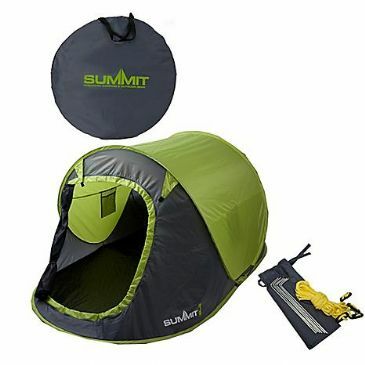 The Pop Up tent folds away into a compact carry bag for easy transportation and storage. 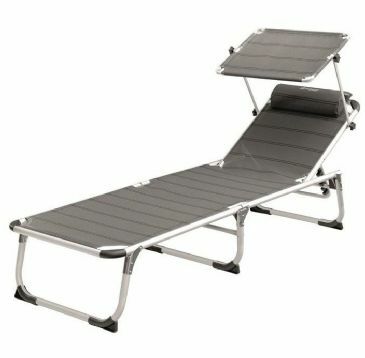 Available in three colours: Grey, Fern or Blue.